The mission of the Keene Public Works Department is To provide exceptional community service and protection of the environment. 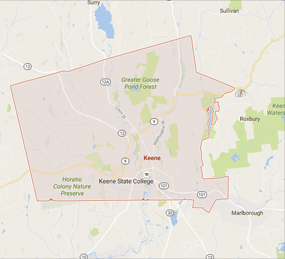 Keene Public Works provides quality management of transportation, water, wastewater, storm water and solid waste infrastructure for Keene residents and visitors. In addition, the PWD provides community education and resource planning. The Department strives to provide the highest level of environmentally sensitive, efficient, and economical service to the community.